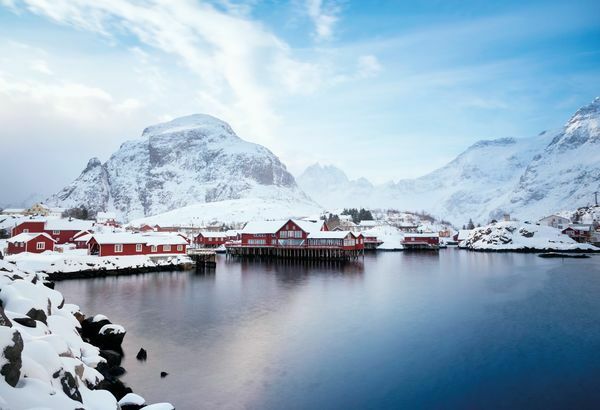 Begin your self-drive journey in Bodø, the gateway to the Lofoten Islands, before hopping over to explore this beautiful Arctic landscape – a combination of deep fjords, sky-high mountains, an array of sea birds and stretched coastlines. 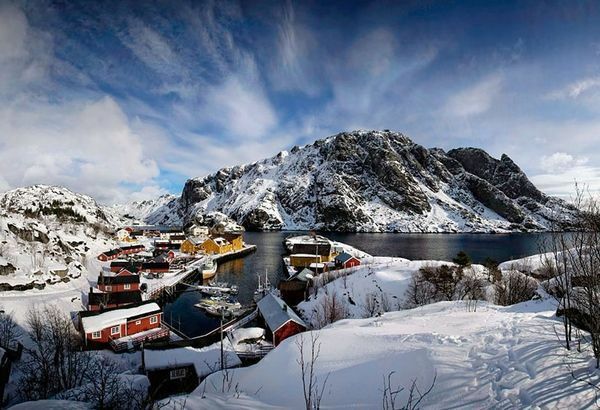 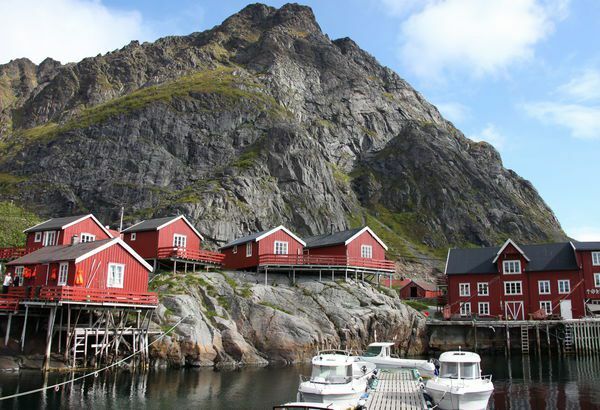 Along the way, you'll enjoy super-scenic drives and nights in a traditional rorbu – one of the Lofoten Islands' distinctive red-painted cabins, perched beautifully in a picturesque colourful fishing village. 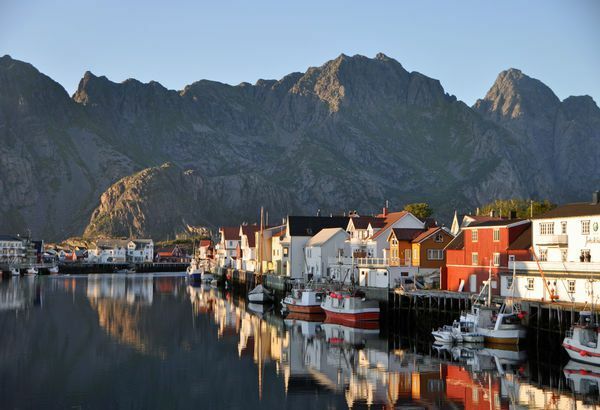 There's also plenty of activities to keep you occupied, from hikes and boat rides to the chance to unearth the region's Viking heritage. 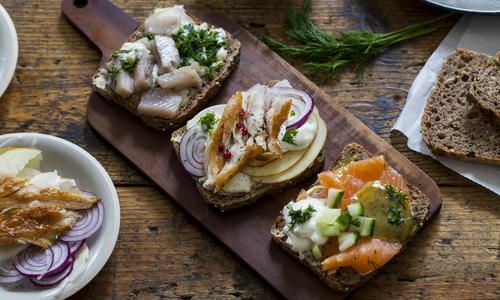 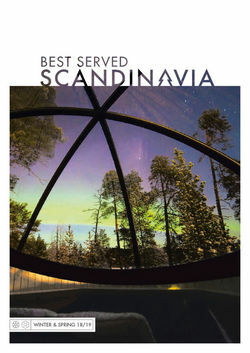 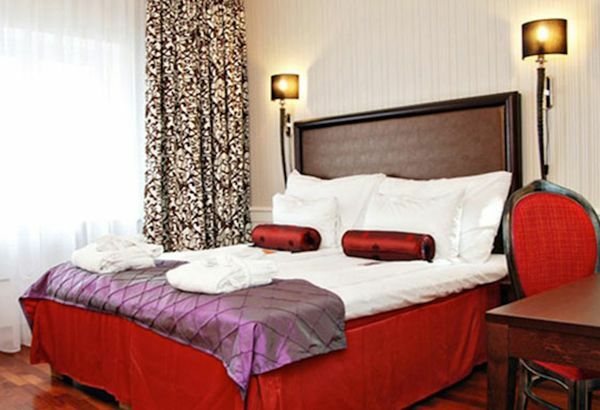 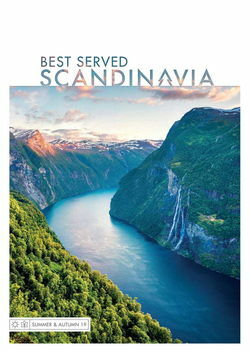 Fly to Bodo via Oslo, and check in to the Scandic Havet – the finest hotel in Bodo. 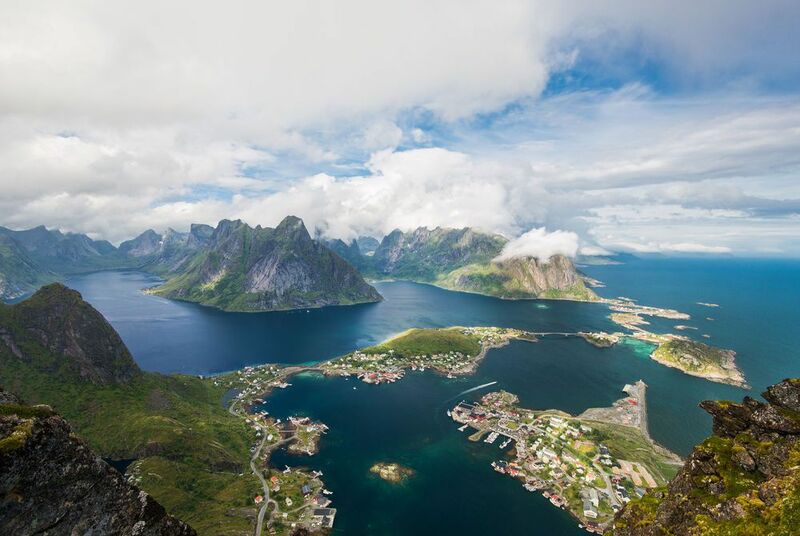 As northern Norway's tallest building, its elegant rooms and sky-bar offer dramatic views over the coast. 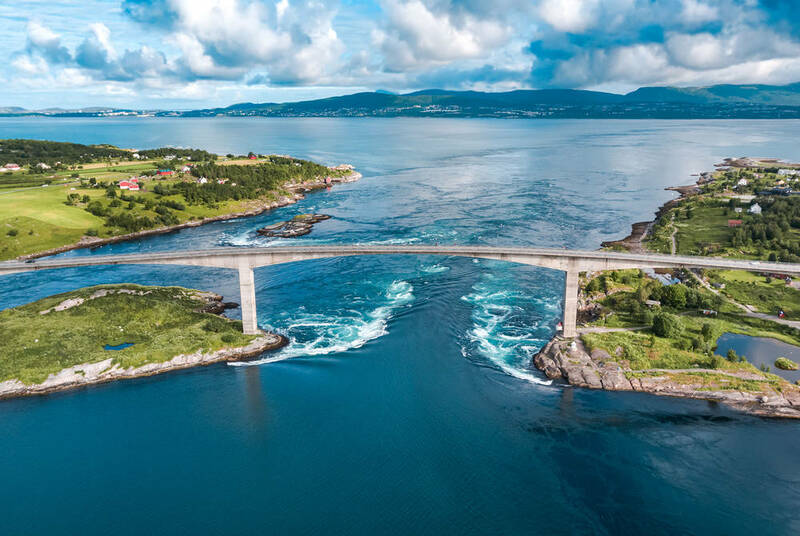 Depending on your time of arrival, venture into Bodo for an excursion to Saltsraumen, the world's strongest maelstrom (whirlpool), or perhaps a visit to the Norwegian Aviation Museum. 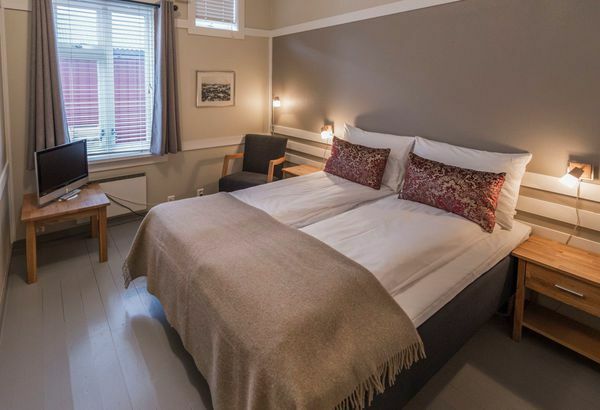 If you would rather relax, take a visit to the beautiful steam sauna in the hotel, before enjoying a dinner of soup, salad, a warm dish and dessert. 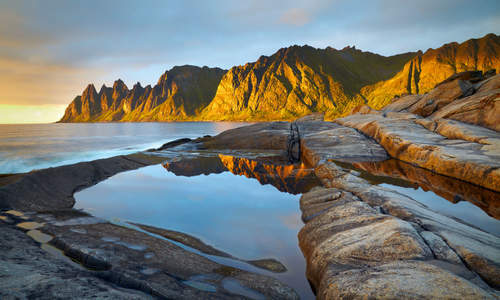 After the generous breakfast buffet, fly to Leknes in the Lofoten Islands and collect your hire car. 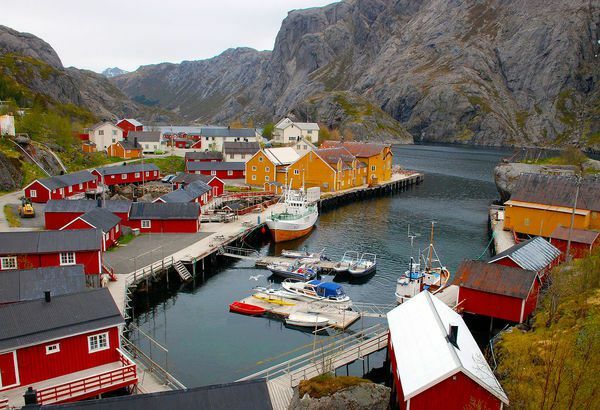 Drive to Nusfjord, the oldest and best-preserved fishing village in Norway. 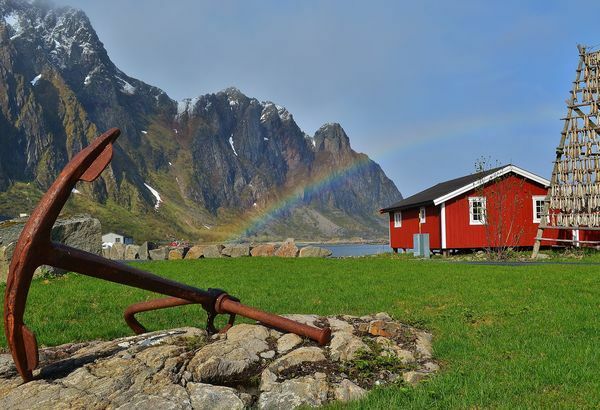 Check in at Nusfjord Arctic Resort for two nights, a collection of traditional red-painted fishermen's cabins located at the edge of the fjord. 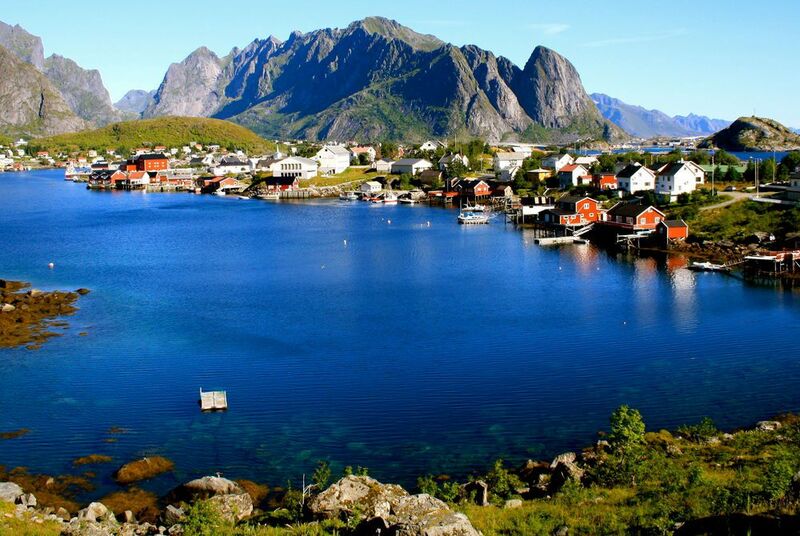 The following day can be spent as you wish; rowboats come with the price of the room, allowing you to take to the water by yourself. 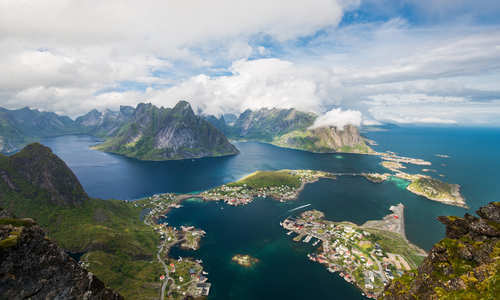 If you're looking to explore the surrounding mountains, hiking, climbing and mountain biking are all popular activities. 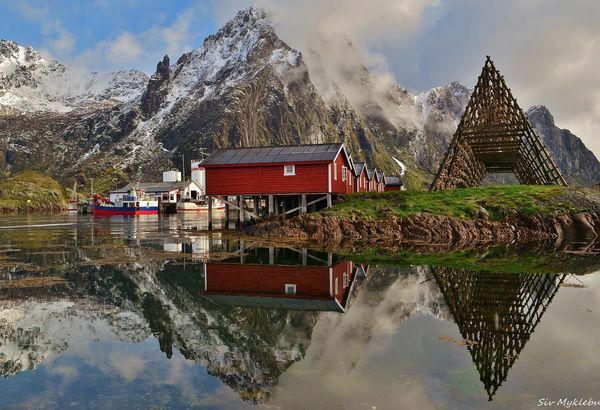 Drive to the harbour town of Svolvaer, located in Lofoten Islands's capital, check in to a rorbu – a traditional fisherman's cabin – at Svinoya Rorbuer and admire the fjord and mountain views from your room. 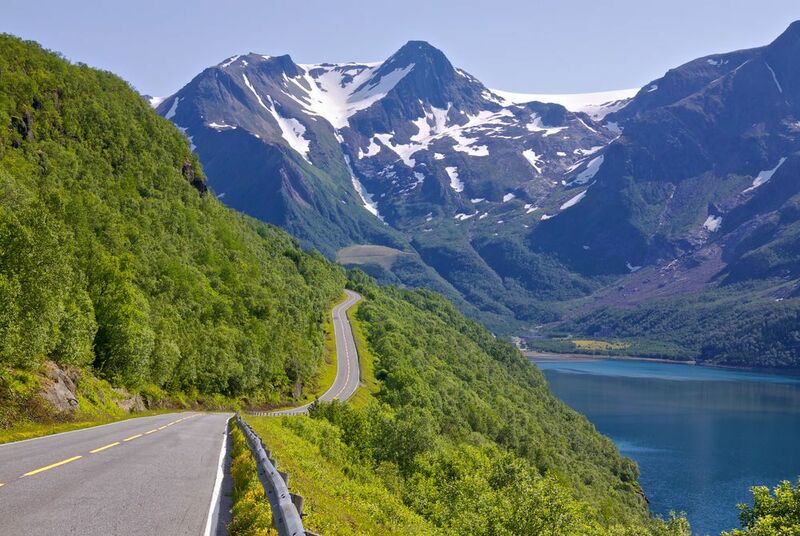 You'll then have three days to explore. 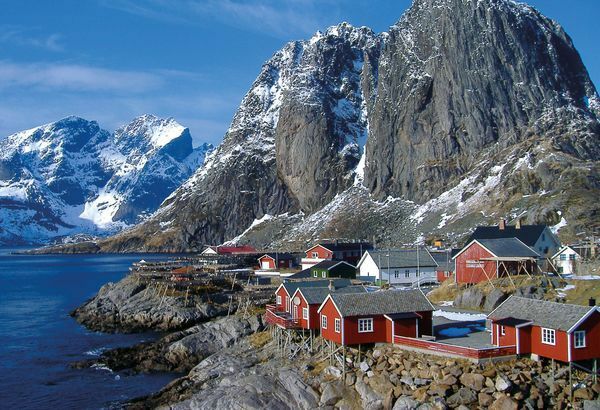 Alongside the usual hiking opportunities, perhaps head out on a boat ride in search of sea eagles, northern Europe's largest birds of prey. 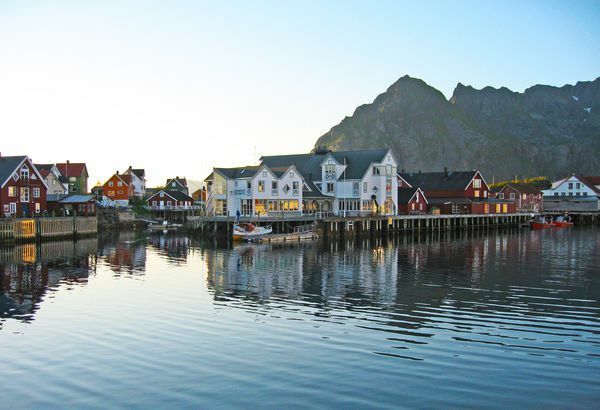 Otherwise, consider stopping off at Henningsvær for its fishing-village idyll, before calling into the Lofotr Viking Museum in Borg – the largest Viking-era building ever found in Europe. 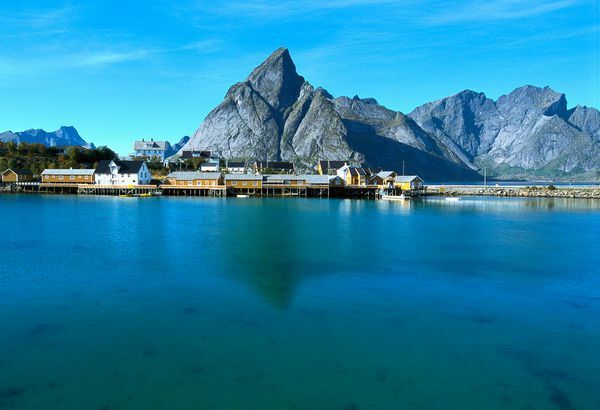 Return your hire car and fly back to the UK from Svolvær, via Bodø and Oslo.